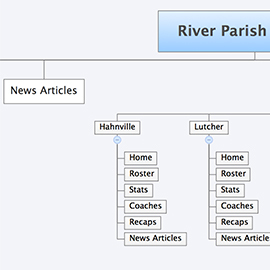 Richey on Sports Productions provides up-to-date coverage of football in the River Parishes area via RiverParishFootball.com. With their previous site, although the graphic design was on-point and catchy, the technical savvy needed to update and maintain the site was outside the skill set of Eric Richey and his writers. The website went through two webmasters in two years. Each managed the site differently, resulting in inconsistencies. Additionally, when big stories broke, Eric and his staff had to wait for the webmaster to post the stories, sometimes a few days later. 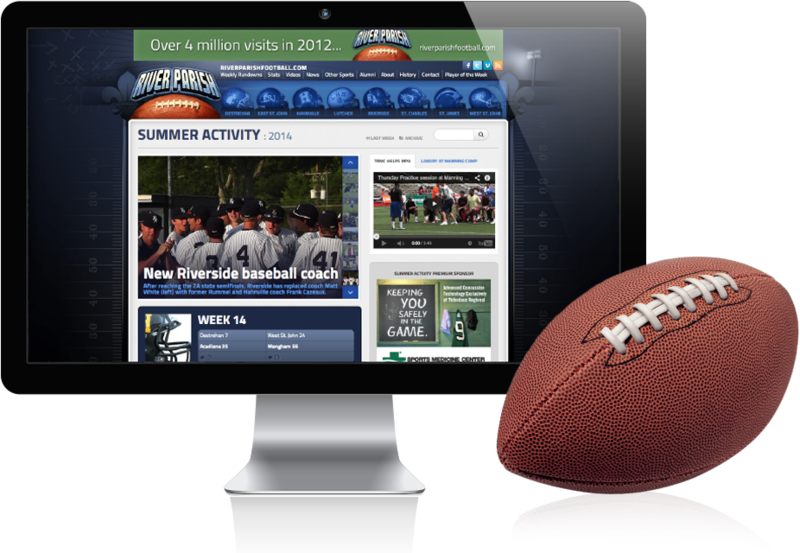 All of these business pains led Richey on Sports Productions to reach out to Envoc to create an easy to manage and easy to use Content Management System (CMS) for their website. 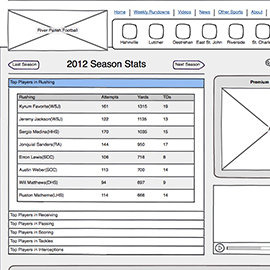 Considering RiverParishFootball.com already had eye-catching graphic design for their current site, Envoc focused on the functionality and usability we’d provide with the new Content Management System (CMS). Envoc focused on some of the added features like the Home Page Rundown—a weekly rundown of all games, scores, videos, and game articles associated with those games. Additionally, Envoc maximized the video integration on the site allowing for weekly player and play highlight videos, team shout-outs and sponsor videos, as well as game highlight videos. Also, Envoc cleaned up the advertisement integration on the site allowing for easy ad management on a per team and per page basis. 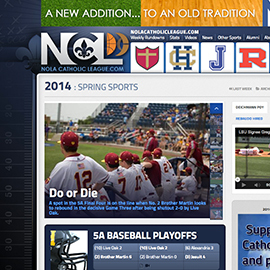 Lastly, Envoc created a multi-site managed portal allowing Eric Richey and his staff to manage not only RiverParishFootball.com easily and efficiently but also it’s new sister website, NolaCatholicLeague.com. Envoc created an easy to manage Content Management System (CMS) website. Leveraging the high level of flexibility and customization provided by ExpressionEngine, we were able to create a site catered to Eric Richey’s needs. Additionally, it’s easy to use. Now Eric and his staff are able to input all stories, photos, videos, and advertisements themselves. They no longer have to wait to upload a breaking story. Now, they can be the first news outlet to release the story. Additionally, Envoc was able to add additional features like a comprehensive archive system as well as coverage of spring and other fall sports. 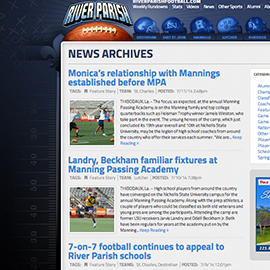 With around 4 million visits a year, RiverParishFootball.com is now a site that truly delivers for its audience. Lastly, with the multi-site manager, Eric Richey and his staff have one portal to manage both sites allowing them to update and maintain to full-coverage news outlets with just a few clicks of the mouse. 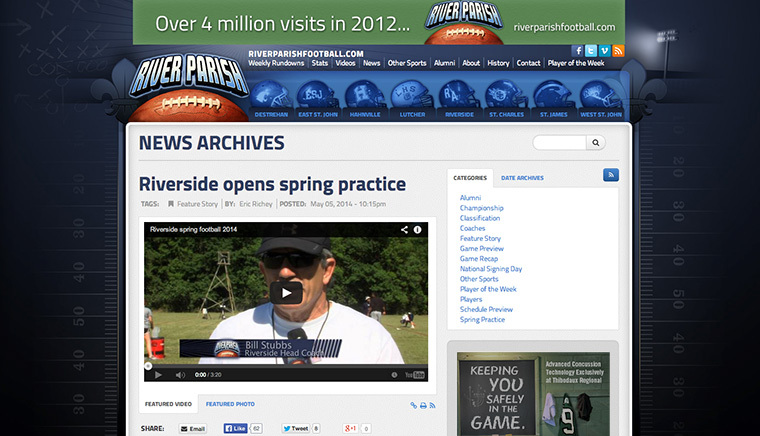 I would say RiverParishFootball.com is the best regional high school football site in the country. 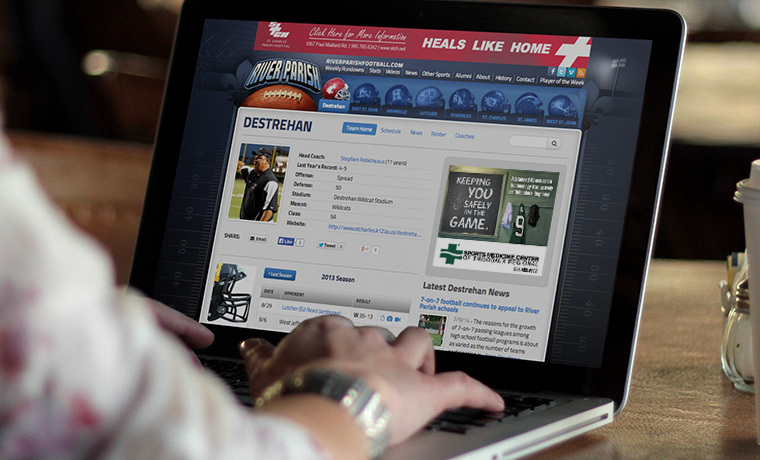 From the content, video, team pages, if there is a better website covering a specific area of high school football, I would like to see it. Also, Envoc has been excellent to work with. Our team that designed the new-look site, was a group of young energetic, knowledgeable go-getters. The very few times I’ve had a problem since then, they have responded right-away and solved the issue every time.